Speaking of Boulders and Things We Just Love, we are in love with this graphic design idea by Sagmeister Inc. for the boulderesque Casa da Musica in Porto. Stefan Sagmeister says it best: “We failed to avoid using the building shape” said Sagmeister in yesterday's lecture at the design forum Vienna, "so we looked for a different approach". 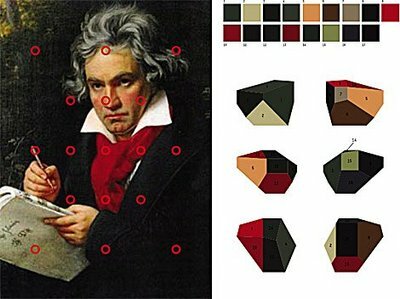 Instead a color calculator uses colors from a poster's image, or portraits of people whose name are on the business card, to generate the coloration of the logo. It's ever-changing, and a brilliant interpretation of the chameleon like shape of the concert hall.